12 independent luxury villas boasting a unique contemporary design, featuring the highest of qualities to ensure the maximum comfort. The houses are comprised of two floors and a large, bright basement area, complete with your own private gym and Spa...which includes a hydro massage steam bath, a Sauna with an accessible patio and waterfall with relaxing zen garden area to boost your natural calm. All of the villas are on plots of over 500m2 and are arranged to accentuate the perfect frontline views over the golf course. The floor to ceiling triple glazed windows in both the bedrooms and spacious open plan living room also ensure an abundant flow of sunlight throughout the day, whilst the properties still retain absolute seclusion. 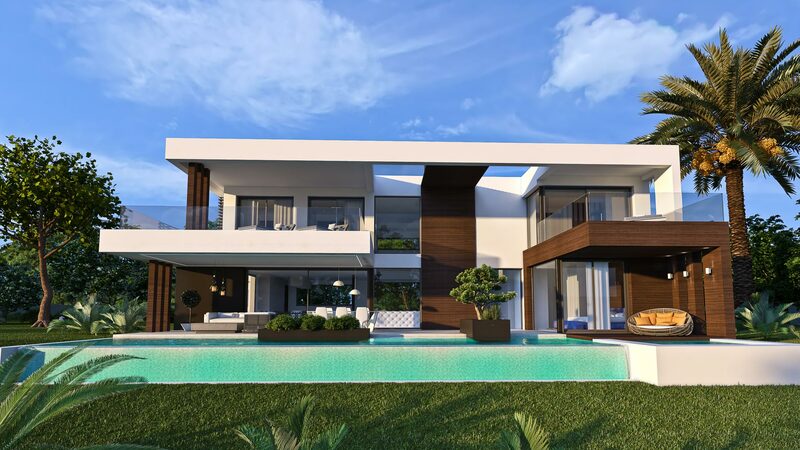 The project is well located in the exclusive "El Campanario" residential estate on the famous New Golden Mile and is just a short drive from Puerto Banus, Marbella, Benahavis and Estepona. The homes are within easy walking distance to the residents Social Club, with spa, gym, tennis and paddel courts. There are also many highly rated schools and restaurants nearby and the site is only 1km to some the Coast's best beaches.